Bhaktapur has long been called the City of Devotees, and has recently emerged as Nepals Cultural Capital. Because of the citys medieval architecture, its rich tradition of ancient music, handicrafts and ritual dance, as well as its present renaissance of vibrant Newar culture, Bhaktapur has been designated by UNESCO as a World Heritage Site. Yet, while everyone knows that no trip to Nepal is complete without experiencing this enchanting township, few know that Bhaktapur will become even more enchanting between October 22-26 when the town celebrates the Bhaktapur Festival 1997. Organized by the Bhaktapur Municipality, this five-day gala will be held in eighteen locations spread across the entire old settlement. The festival will be celebrated by Bhaktapurs residents, cultural groups, and craft-persons, as well as involve tourist related activities such as traditional handicrafts, hotels, lodges and restaurants. To miss this festival is to miss an authentic experience of Nepal. Come help add one more glowing legend to this legendary city. 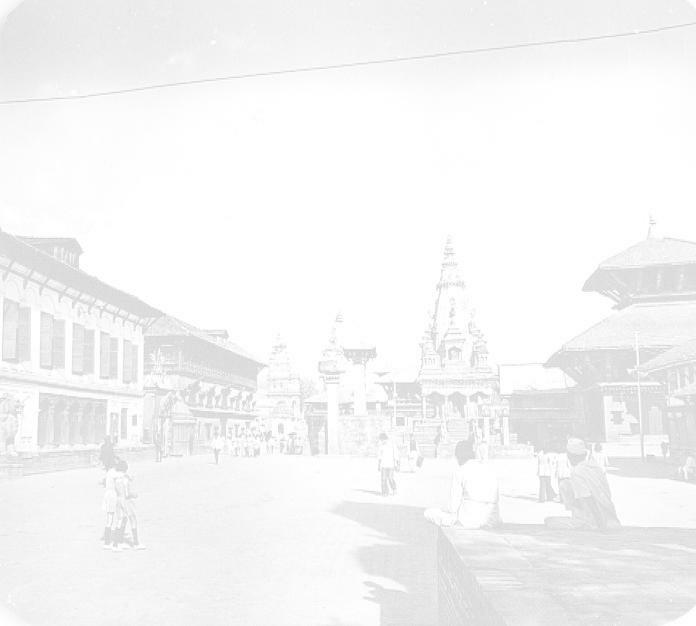 Come celebrate Bhaktapurs LIVING HERITAGE. Watch RITUAL DANCES, such as Mahakali Pyakhan and Bhairav Pyakhan, which will be staged in the UNESCO World Heritage Site of Durbar Square as well as Taumadhi and Dattatreya Squares. These dances will run throughout the Festival enhanced by and enhancing the majesty of these ancient and mysterious settings. Walk the path of the gods as you dance to Traditional Musical ENSEMBLES which will circumambulate the city on Bhaktapurs ritual procession route: the Pradaksinapath or Saparu (Gai Jatra) route. Be welcomed by the sounds of the enormous Nagara Drums, featured in the film The Little Buddha. Their thunderous beat will continue during the festival's entire five days filling the visitors heart with the mysteries of Bhaktapurs past. Learn about Traditional Newari Handicrafts, such as wood-carving, weaving, mask-making and thanka painting, at Nasamana Square in the art and craft exposition. Bhaktapurs acclaimed craftsmen will reveal the age-old traditions throughout the festival. Watch Potters demonstrate their ancient CERAMIC skills at Talako and Sujamari. These generation-old skills will mesmerize the visitor and give a glimpse into Bhaktapurs rich artistic history. Be enthralled by Bhaktapurs mysterious and sacred Nau-Baja musical ENSEMBLES at Wakupati Narayan temple, Sujamari Square and Til Madhav Narayan temple, Taumadhi. These ensembles comprised of nine different drums and other subsidiary instruments bring alive the mysterious of Bhaktapurs Newar traditions. Browse over 60 stalls displaying Bhaktapurs handicrafts and other industrial products at the INDUSTRIAL AND TRADE FAIR organized jointly by the Bhaktapur Municipality and the Bhaktapur Chamber of Commerce and Industry (BCCI). Here you can purchase, or just browse the best of Bhaktapurs locally made handicrafts and arts. Feast on Newari delicacies at the FOOD FESTIVAL located in Bhaktapurs Durbar Square. This will please the pickiest gourmets and hungriest gourmands alike. Gaze upon Bhaktapurs unique traditions of art and culture in the EXHIBITION OF PHOTOGRAPHS AND PAINTINGS presented at the Kuthu Bahi, a famed Buddhist monastery located in the western part of the city. The exhibition portrays Bhaktapurs unique traditions of art and culture. Be delighted at a BOOK EXHIBITION which will feature books on Newar tradition and culture, as well as texts about traveling, trekking, mountaineering, religion, meditation, wildlife and other subjects related to Nepal. Even the choosiest book-worm will be overjoyed. Visit the National Art Gallery in Durbar Square, as well as the National Wood Working MUSEUM and Bronze and Brass Museum in Dattatreya Square. The National Art Gallery features one of the finest collections of Nepali art in the world. Excellent pieces of carvings are on display at the National Woodworking Museum, and the Bronze and Brass Museum displays varieties of traditional Newari utensils such as kalash (ritual jars), kitchenware, ritual butter-fed lamps, water vessels, ink-pots, hookahs, and spittoons. View displays of traditional Newari Costumes and Ornaments at the new Municipality Building in Chyamasingh. Let your vision soar at the Kite flying EXHIBITION featured at Lamagal. A huge collections of Newar traditional multicolored kites, as well as kites shaped like the temples Nyatapola and Bhairabnath will fill the sky. Discover Bhaktapur by following the map A WALKING TOUR OF A MEDIEVAL CITY, which will acquaint visitors with places of religious, historical and archeological importance. Read more about BHAKTAPUR FESTIVAL 1997, informational articles on Newari tradition and culture, and other facts needed by travelers, in a Souvenir Magazine which will be distributed free to foreign tourists and Nepalese travel and trade professionals during and after the festival. All the information needed to visit and enjoy Nepal will lie between its covers. Layaku (Durbar Square), Bhaktapur, Nepal.